Augusta volunteers shovel out walkways for those unable to shovel. 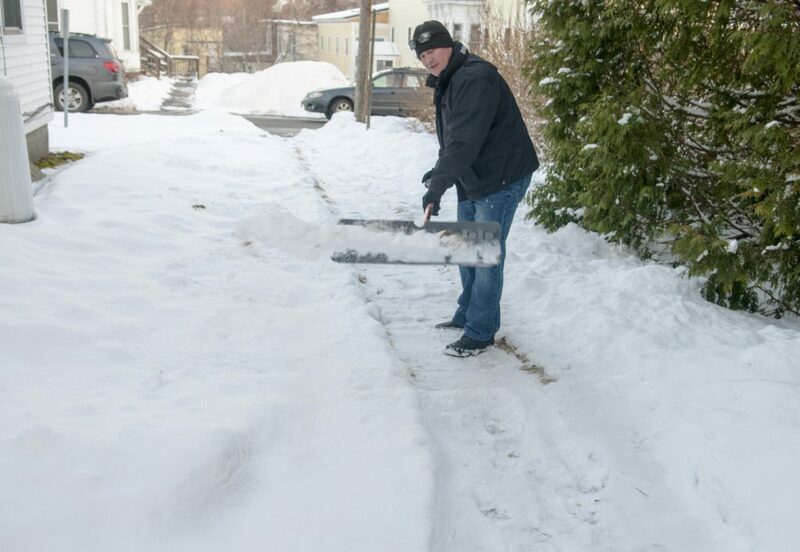 AUGUSTA — A new group of local volunteers formed to shovel out the walkways of people who can’t shovel for themselves has drawn so many people looking to lend their hands that there are twice as many volunteers as there are people seeking help shoveling. That may change once word of the Clear Paths and Connected Community program spreads, which is something organizers hope happens. That’s because they’ve got a bigger-picture goal in mind, beyond simply clearing out paths between city streets and the homes of residents who, because of either age or disability, aren’t able to do so for themselves. The 13 volunteer shovelers, as well as leaders of the Augusta Age-Friendly committee overseeing the program, hope to help build community connections while shoveling snow. So far the 13 volunteer shovelers shovel out about a half-dozen walkways, yards or paths after each storm to oil fill spouts or propane tanks in Augusta, for people who sought help because they are unable to take on the task on their own. Jill Odice, who moved to Augusta recently with her husband from Southern California, learned about the new program on Facebook. Her husband is disabled and tries to remove snow from the yard of the couple’s home, but he needed a little help to complete the task. MacDougall said the idea for the program came from Jared Mills, Augusta’s deputy police chief, who is one of the volunteer shovelers and a member of the Augusta Age-Friendly committee. Mills noted police officers, sometimes while on duty, also might help someone dig out snow, but he said that is not part of the program. The officers who shovel in the program do so on their own. He said many in the group of volunteer shovelers are his friends, who also happen to be police officers. Other volunteers, including a college student, are not part of the Police Department. MacDougall is hoping more people will participate in the program, both those in need of shoveling and unable to do so, and those willing to add to the force of volunteers ready to trudge out to help shovel after storms. He said they’re sending out flyers with people who deliver Meals on Wheels to help spread the word about it. Among the half-dozen people who have signed up so far are a woman who is legally blind and a widow who asked for help shoveling a path to her oil pipe so she could have oil delivered. Anyone over the age of 60 and anyone who is disabled and unable to shovel out their own path is eligible for the help. “People try to do all this stuff on their own, but it can get really difficult for them,” MacDougall said. To sign up or volunteer, people may call MacDougall at 877-1921, Sara Grant at 441-4668 or Duane Scott at 623-2092. Augusta Age-Friendly also has a program offering to bring older residents sand buckets for traction in their driveways or walkways. MacDougall said about 100 people took advantage of that program to get buckets of sand, and some also have gotten refills. There are no income limits for participants, and neither MacDougall, Mills, nor Behr have concerns that people who are able to shovel, but just don’t want to, will take advantage of or abuse the volunteer program. Mills and Behr both said the people whose walkways they shoveled seemed to need and appreciate the help. MacDougall anticipates people who are able to shovel won’t abuse the program and sign up for the service if they don’t need it.